The Art Kettle is an interactive cultural space where the artistic community can connect and create. 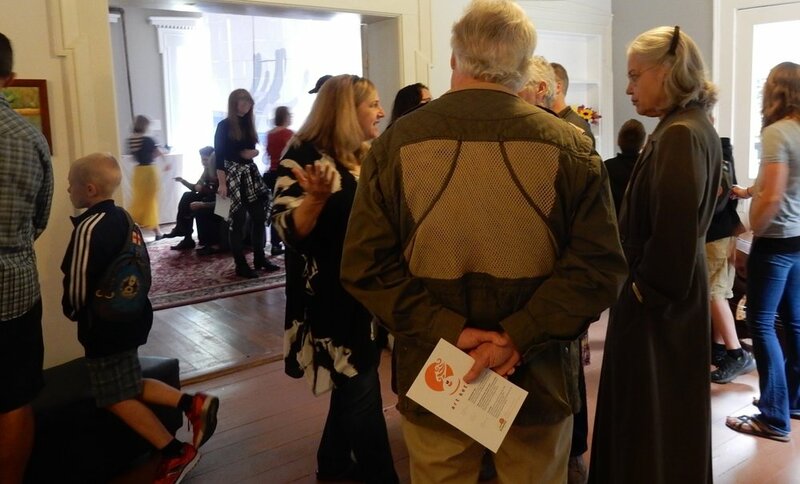 We host exhibitions, live performance, educational workshops and artist residencies. Tucked away in the charming village of Manchester, Michigan, our 1835 house is a beautiful slice of history. But when beaming creative minds enter, everything heats up! As artists share and inspire each other, the ideas bubble and swell – brought to life through visual, musical, and performing arts. Our kettle song grows more vibrant as the creative community gathers steam, pouring into the lives of the community. We’re more than a beautiful building; we’re the Art Kettle. Our fast-paced, high tech world has most everyone absorbed in digital lives. We feel that there should be a place off the beaten track where we can get away. A place where we can slow down and process our lives. A place where we can be a part of a truly inspirational creative community. A place where we can share our insights with the community at large. That place is the Art Kettle. Our mission is to engage the community in arts experiences that nurture creativity and promote cultural diversity.